It’s quiet here and in spite of the proximity to the road, it remains wild. Darker than usual, fresh leaves block the sky. 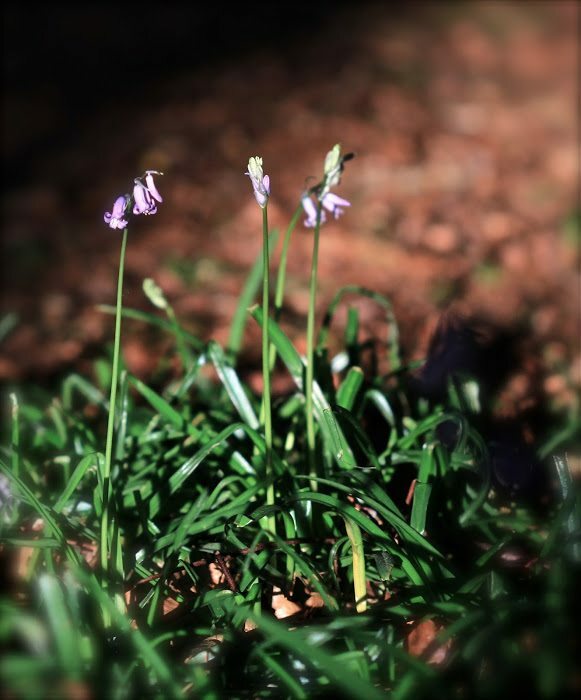 At dusk the light filters through at a rakish angle making long shadows and spotlighting the little blue flowers I have come to see. To get to the woods I have to hop a few walls and climb down a steep hill of rocks and young trees. Every time it’s worth it. Changes take place over these few weeks, and yet fundamentally everything remains the same over so many years….. It can be spooky in the woods. It’s isolated and I feel vulnerable in these lonely places. But a camera is a companion, and although I am a bit rushed by my caution, time passes and I soon forget the rest of the world. To be safe and sound, is what we each crave. Oh! that's so exactly the way I feel when I am wandering alone with a camera. 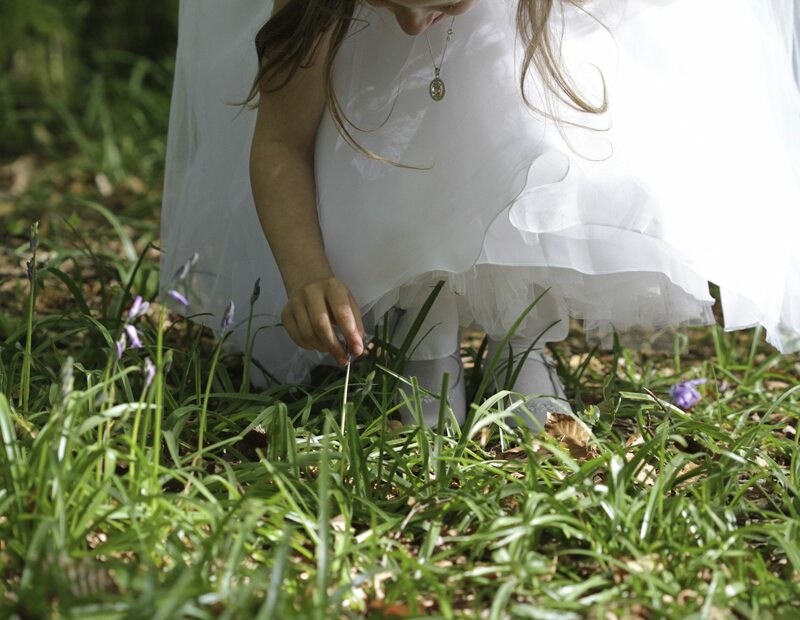 And your bluebell wood is like a fairytale wood. Such gorgeous light and colours! Wow…beautiful! Your images are breathtaking. Thank you for stopping by my blog and for your kind words. Have a great week! Thank you Catherine, still there for the moment until "progress" takes over……should be protected…. 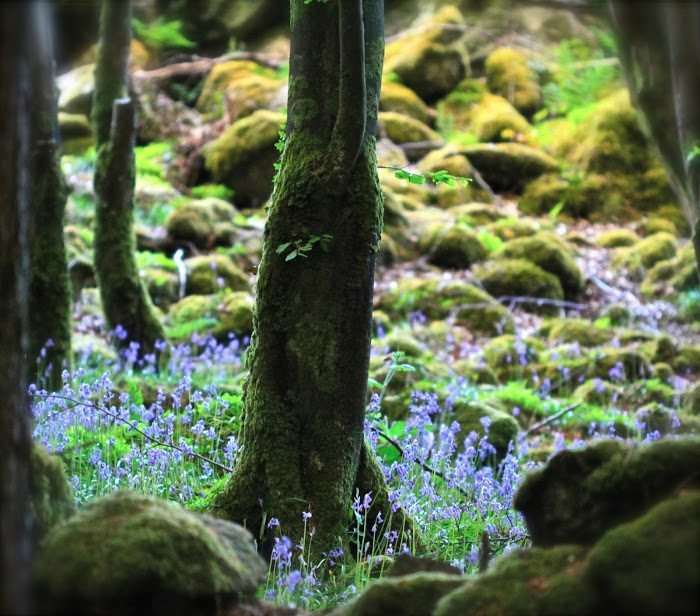 Such love for these bluebells and the sights of the woods certainly show…..and maybe a few pixies or fairies amongst the bells….I brave the mosquitoes when I go out now as they swarm and bite. I had to chuckle when I read you are hopping walls and trekking down steep slopes as I would want to do to see this beautiful sight…of course not hopping the walls anymore for me. 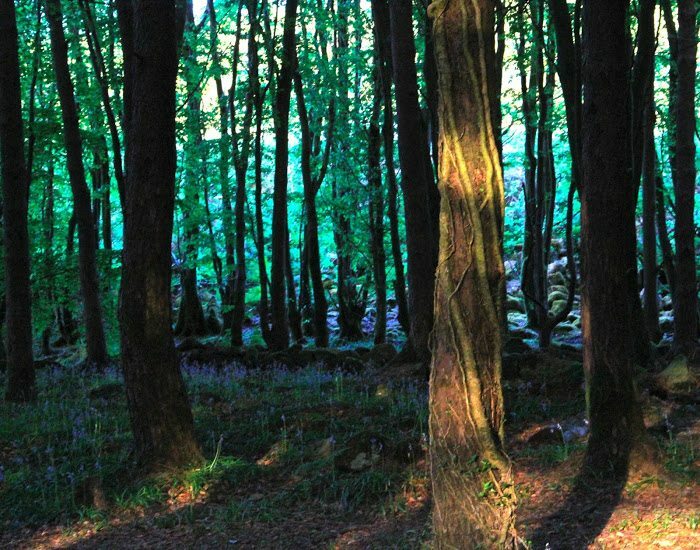 Stunningly beautiful shots in that light Catherine! 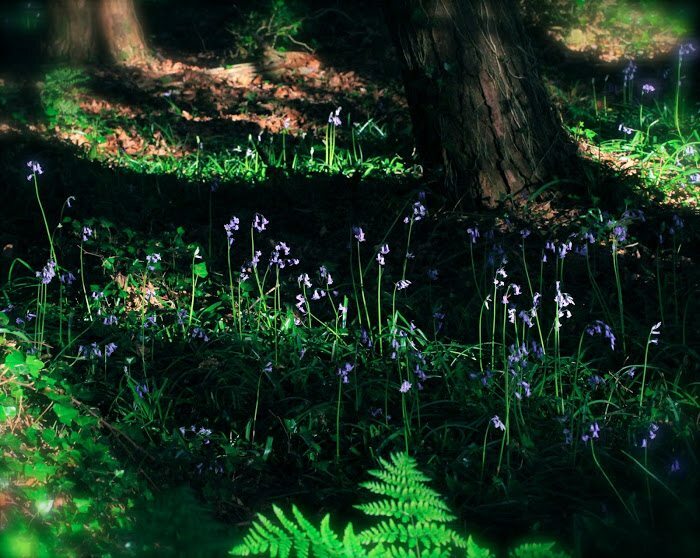 It does sure seem like it would be worth it for the bluebells and the light … gorgeous images! Beautiful! 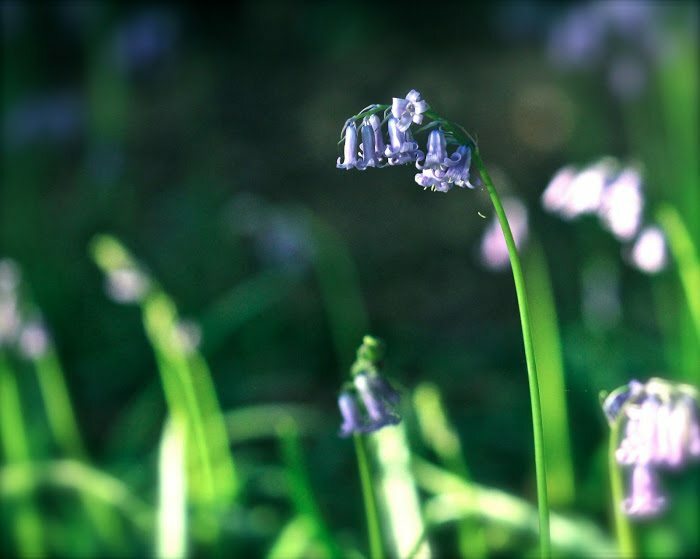 I love bluebells! P.S. Congrats on the win! I know that alone in the woods feeling too. I can so easily spook myself when walking in wild places. I think we must have primeval memories of wolves and bears because in reality the roads we travel to reach the woods are far more dangerous.